I have been seeking clean recipes for Christmas Baking, with great disappointment so far. 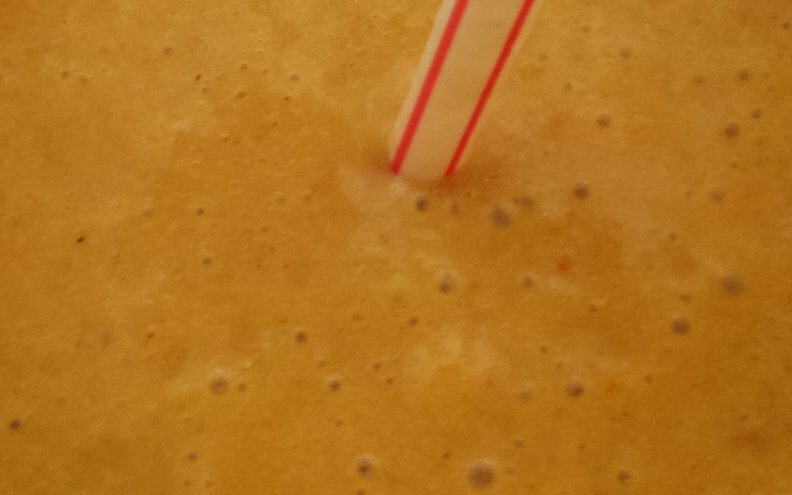 So many low carb or otherwise “healthier choice” recipes seem to involve sugar alcohols or artificial sweeteners, which doesn’t go over well in our house. I prefer to use a little maple syrup, because of its many health benefits. It is also lower in calories than honey, if that matters to you! So I took a basic almond flour cookie recipe and tweaked it a little…with great success! I’m not claiming these are low carb but they definitely take it down a notch. I chose Lindt because it’s easy to find in grocery stores, and it’s delicious. It’s also low-ish carb, if you use 90%. Ecuador 75% is also dairy-ingredient free. A perfect addition to the Christmas baking tray, and I’ll bet your guests don’t even notice they’re eating clean-ish. Now if only I could find a better option than vegetable shortening…that doesn’t taste like coconut! Add wet ingredients and mix, you’ll likely end up using your hands. Drop balls the size of a tablespoon onto parchment paper (or use a tiny muffin pan like I did), press your thumb into each one and top with a chunk of Lindt. Bake at 350F for 6 minutes. Let cool, and enjoy! Makes about 2 dozen, or more. 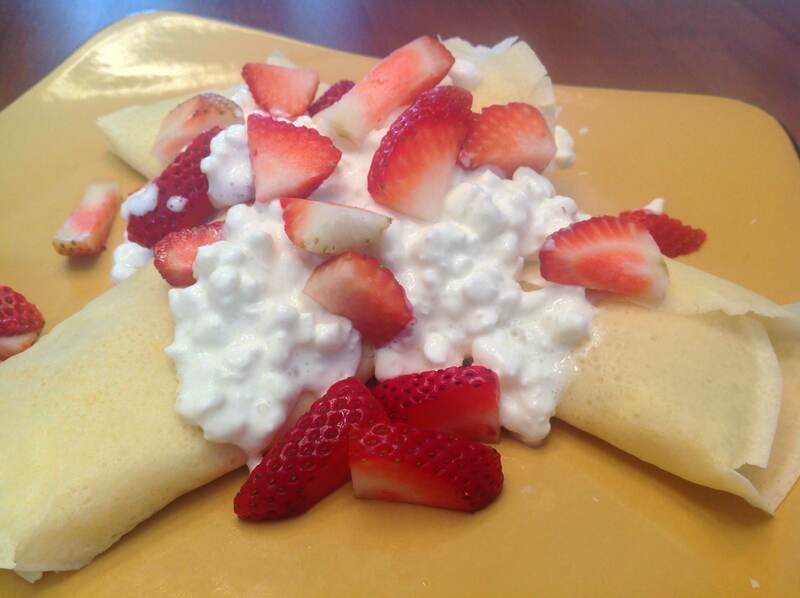 Ok the crepes themselves are dairy free but I put cottage cheese and strawberries in em…. Pregnancy is a wonderful thing. You think of a food, and you find a way to eat it as soon as possible. Crepes are one of those things, and despite not having the usual ingredients in my cupboard, I found a way. I made my own recipe! I have finally made a crepe that feels like the ones at Cora’s yet have a light coconut flavor. Might have to try this again with coconut flour instead! Warm a nonstick pan on medium high. 12″ is great, and if it’s a really good nonstick one you won’t even need butter! Sift the dry ingredients together. Whisk the eggs and milks together, and add the coconut oil. Fold the wet into the dry. Pour about a quarter cup into the center of the pan, and rotate the pan until the liquid thins out to the edges. Cook for about a minute and a half on each side or until they are slightly browned. Makes about 6 crepes. 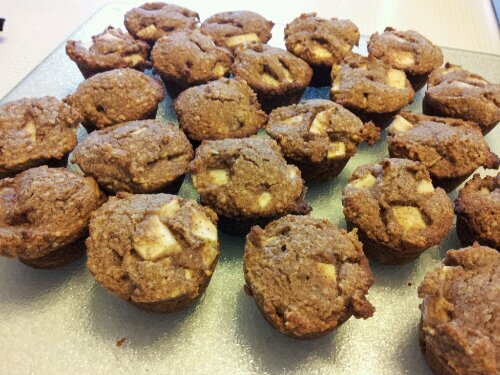 In an effort to eat less sugar but still get my baked goods fix, I have turned from my ridiculous pies of late, to muffins with healthy substitutions. I think I will give myself credit for this one – even though I used white flour. I replaced the sugar with honey and the canola oil (really?? people still use this stuff??) with applesauce. The results were delicious! My only recommendation is to not use muffin liners – I suppose it’s the lack of oil in the recipe, but the liners stick to the muffins. Preheat the oven to 375F. Grease a muffin pan. Mix the dry ingredients together. In a seperate bowl mix the wet ingredients. 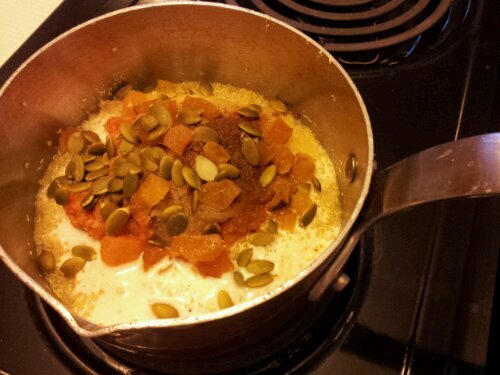 Add the wet to the dry along with the fruit, being careful not to overmix. 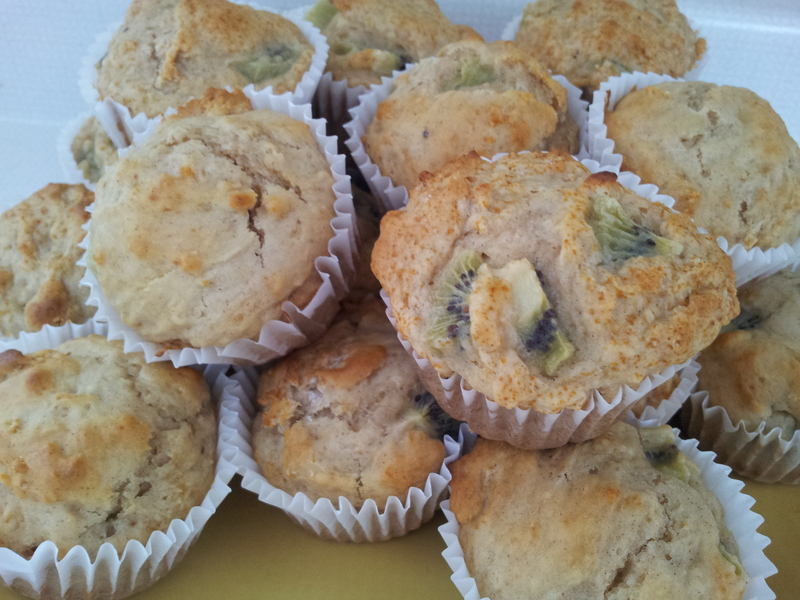 Fill the muffin cups and bake for 15 minutes or until tops begin to turn brown and a fork comes out clean. Made the perfect batch! So much cheaper than buying ghee. It has a higher smoke point so can be safely used for frying, stores for longer and doesn’t require refridgeration, and it is excellent to counter the drying effects of the fall “Vata” season. Great for people with dairy intolerance or allergy, as all the milk solids are removed in the process. Bring unsalted (ideally organic) butter to a boil on medium heat. Turn temperature down to med-low and simmer. The butter will froth and eventually clear up a bit, and you will see the liquid turn from cloudy to clear. The milk solids seperate and sink to the bottom. Let the butter continue to simmer until the solids start to roast brown. 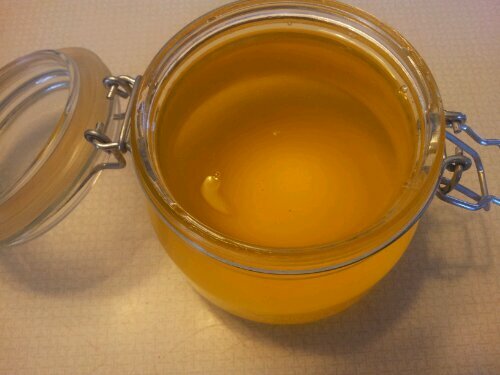 Take the liquid off the heat, strain through cheesecloth into a glass container, and there ya go! 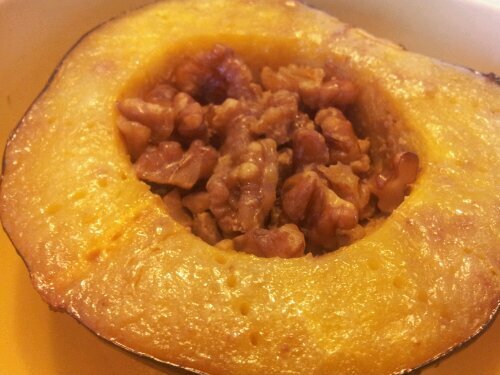 Cut the acorn squash in half, scoop out the seeds and poke with a fork ao flavour can absorb. Melt a little ghee and maple together, drizzle over the squash. Fill the hole with walnuts, and roast covered at 400F for an hour. BAM! Breakfast of champs. In an attempt to consume more quinoa AND pumpkin, this seemed a natural fit. I love orange vegetables at this time of year, and their starchiness helps many (especially Vata type) keep warm as the nights get cooler. This can also be a Wild Rose Cleanse friendly breakfast, just use fresh apricots and unsweetened apple sauce. Rinse quinoa and place in small saucepan with water. Bring to a boil, cover and simmer on low for 15-20 mins. Sit down and have a cup of coffee. Near the end of the quinoa cooking time, add the rest of the ingredients to the pot. Stir together and continue to simmer until desired temp is reached. Finally a Quinoa Salad I Can Make! So I am perpetually bad at Quinoa. I don’t know why but I used to always overcook it, make it soggy, or forget I made it altogether and it goes bad in the back of the fridge. Today is NOT that day. I have turned a corner. 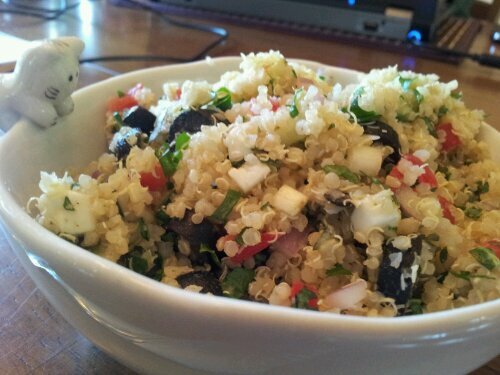 I present to you my version of the Mediterranean Quinoa Salad! So easy there’s no way you can’t make this taste good. The key with Quinoa is to make sure you rinse it really well. I used a wire mesh strainer and lukewarm water, and ground the grains against each other for a few minutes before cooking. To cook the Quinoa: Bring first four ingredients to a boil, cover and cook on low for 20 minutes. Fluff with a fork and cool. Finely chop the kale, pepper, shallot, cuke, olives, and oregano, and cube the feta. The finer you get the kale the better! Put everything in a bowl. Toss, chill, and serve. So amazing. Special thanks to Disco Kitty for suggesting the broth! Yes, this happened. A massive chocolate craving, and no Lindt in sight. I had some raw cacao kicking around…there’s always more in the bag than you think…so I paired it with an equal amount of magic bullet-crushed walnuts. 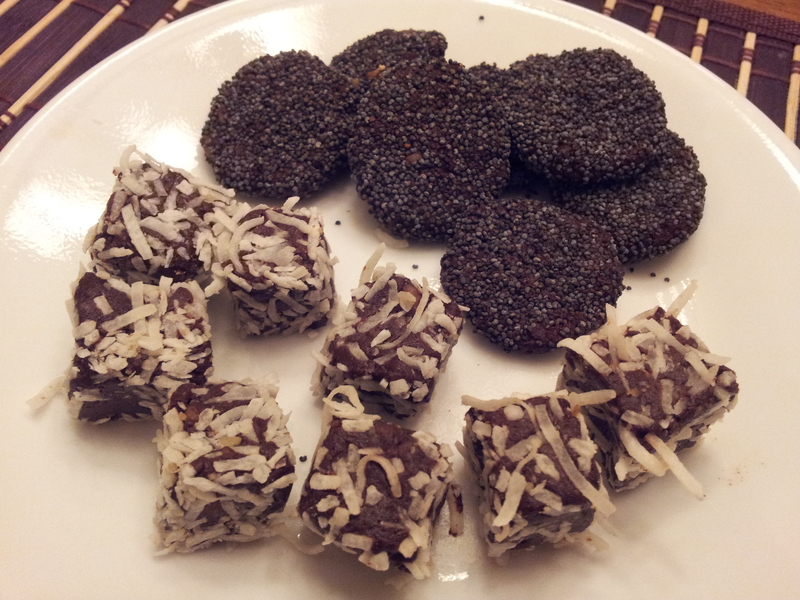 Drizzled some maple syrup to get it wet, rolled it into balls, and coated it with poppy seeds or coconut. I think I will try sesame seeds next time too. Nice thing is, this is completely raw, and if you’re eating “healthy sugars” then these chocolates actually good for you too!